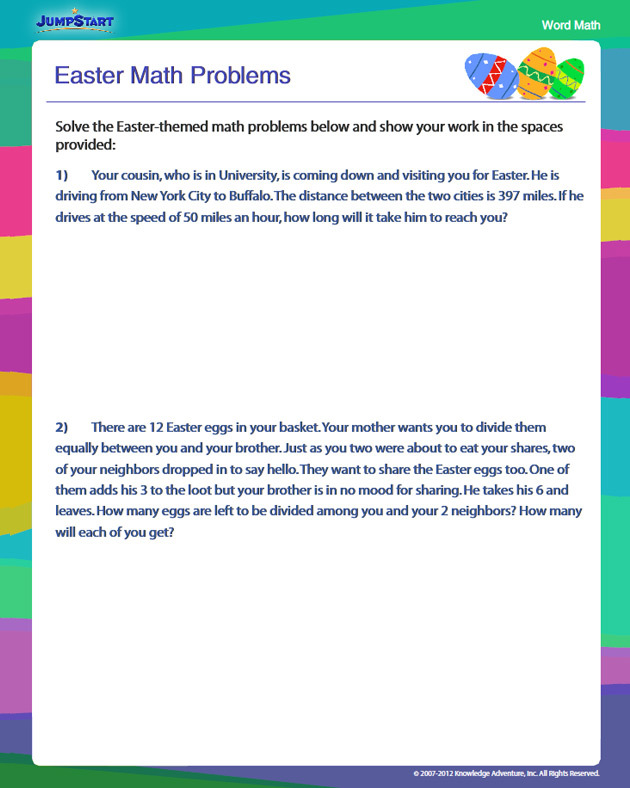 Get your 4th graders to solve these Easter-themed math word problems to boost their elementary math skills. Word problems are a great way of applying your understanding of math concepts to everyday situations and are thus, the best judges of your child’s proficiency in any given concept. This fun Easter math worksheet will also test your child’s critical thinking skills, apart from her 4th grade math skills. The fact that they all revolve around the holiday will make them more interesting for your 4th graders!